The Candy Lady is your stop for the worlds most sought after lovers delight, chocolate dipped strawberries. The strawbery is natures perfect little sweat heart shape fruit. These are essential piece to your romantic evening, Valentine's day gift, Wedding and or anniversary. We offer oversized, medium and small options dipped in Milk, White or Dark chocolate. Often extra decoration or personalize options are available. Ingredients: Milk, White, and or Dark Dipping Chocolate, Fresh Strawberries. 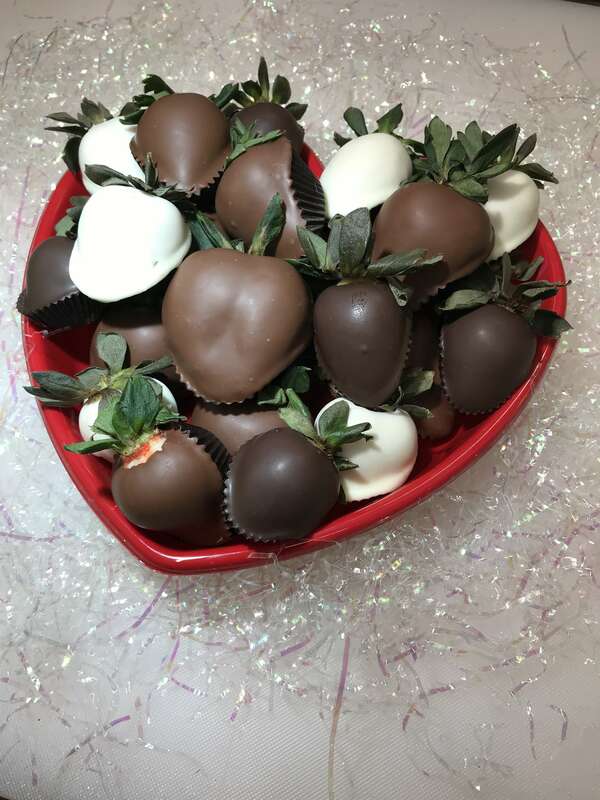 The Candy Lady is your stop for the worlds most sought after lovers delight, chocolate dipped strawberries. These delectations come as simple dipped strawberries to beautifully decorated event themed specialties. Call our shop at (505) 243-6239 or stop in for that essential piece to your romantic evening, Valentine’s day gift, Wedding and or anniversary.